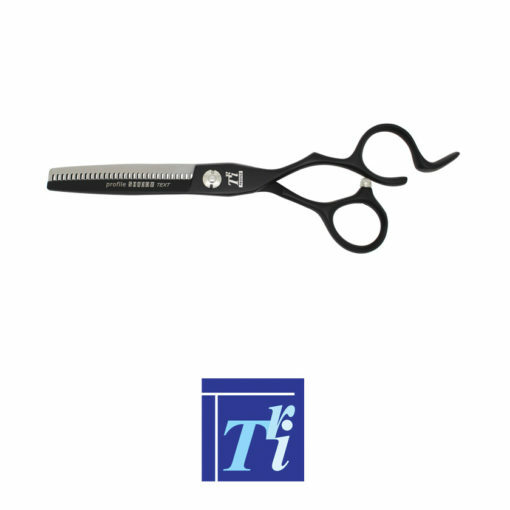 Profile Shadow Series Thinners. Cobalt steel (440C) 6″ razor sharp scissors. Offset handles and matt black enamel finish. Fixed finger rest and featuring a malleable (adjustable) finger ring.